A preview of upcoming pairs for the retro silhouette. 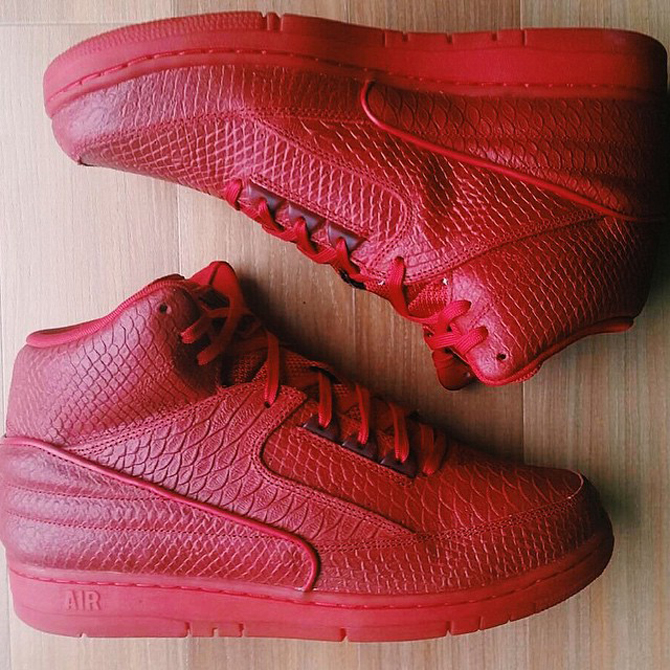 The Nike Air Python isn't done yet. The sneaker will continue to show up at retail, and continue to break from its original makeup, with these two pairs that are on the schedule for 2015. 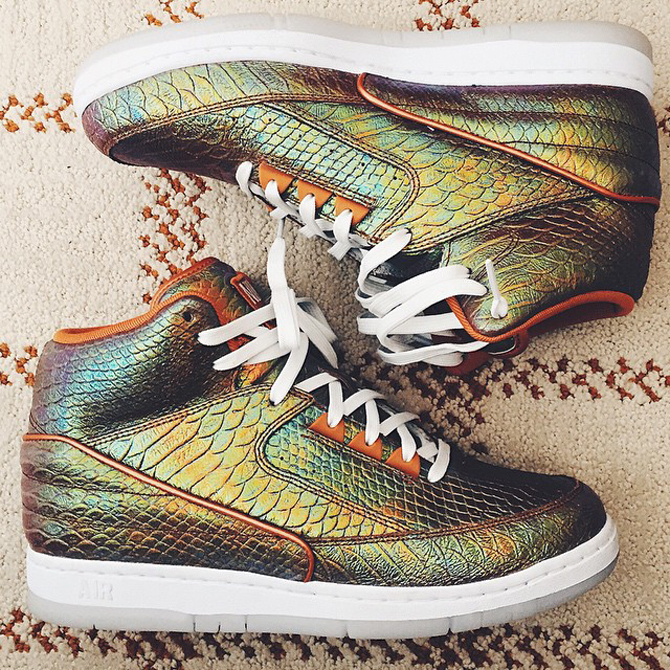 Both of them feature the all-over sacly look, which makes the shoes much more reptilian than the original Air Python releases, which saved more space for standard leather like other sneakers of their era. The "Red October" treatment continues on one pair, while the other has an iridescent look to it that should shift in different light. There are no release dates yet for these Nike Air Pythons.